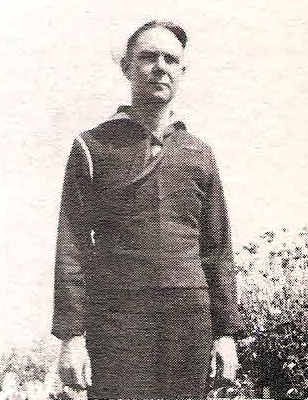 S 1/c Roy Cearley, son of Mr. and Mrs. J. H. Cearley, Graham, husband of Katie Grisham, Graham, attended Monument School..Entered Navy, 1943, trained in San Diego. Served aboard USS Matanikav. Discharged in 1945.